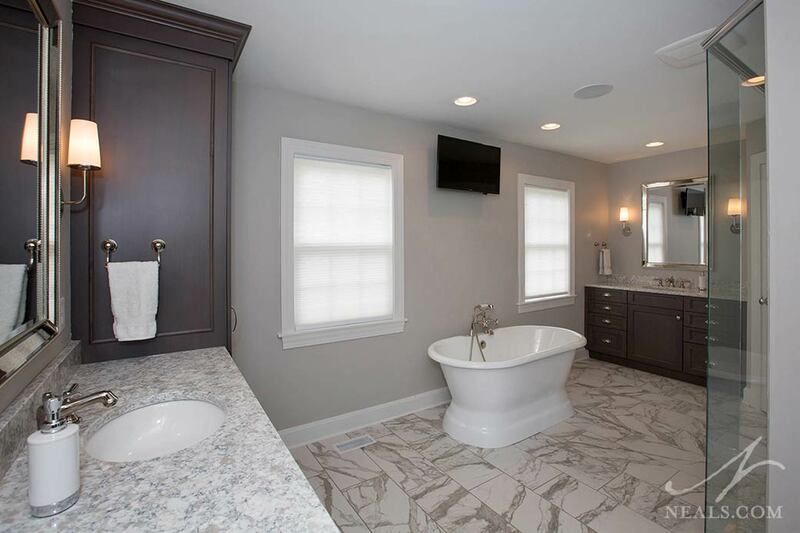 Updating the layout was the focus of this master bath in Western Hills master bathroom remodeling project. 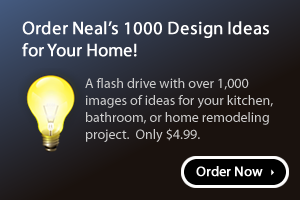 The chopped up bathroom in the original design was disorganized and cramped, and the look and finishes were tired and dated. The new design starts with a reworked floor plan that makes better use of the available space. 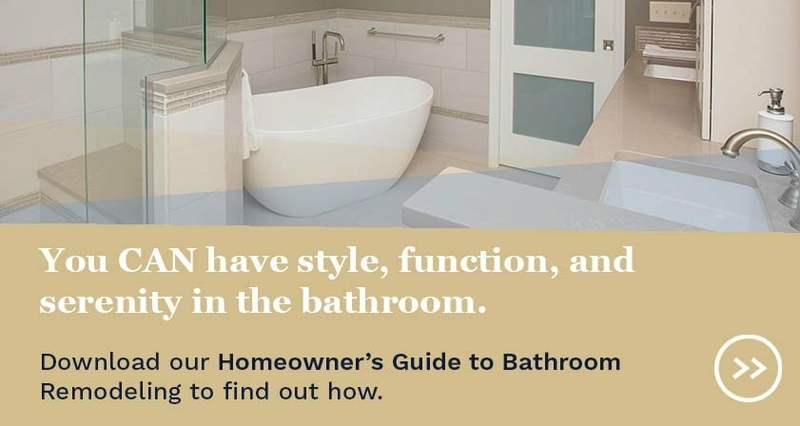 Then, a fresh color scheme and several timeless features brings the new master bath into the modern era. In the original floor plan, the bath was a two-room pocket of space behind two closets. A hallway between the closets connected the bedroom to the bathroom. 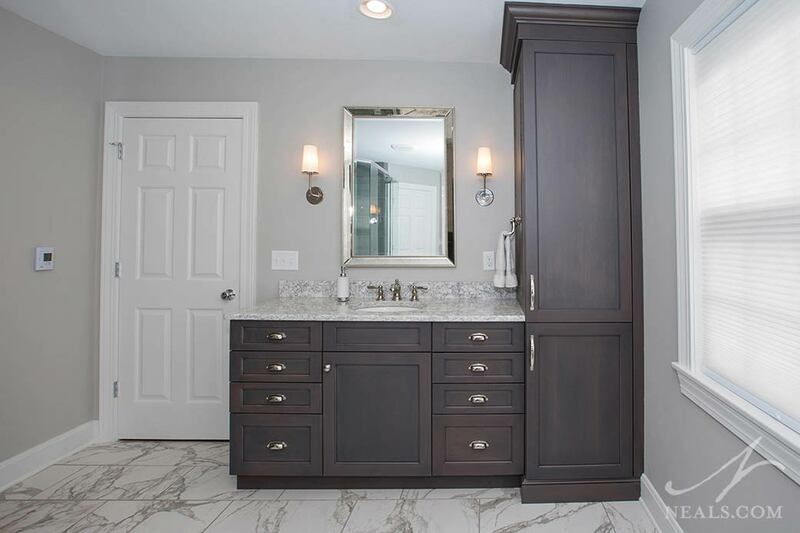 A large tub deck and a double vanity took the majority of the space from the larger of the two bath rooms. A shower with a niche to accommodate a window, and the commode shared the other room, along with a shallow linen closet. The tub deck tile was carried through both spaces, and the hardware and fixtures were brass throughout. Removing the existing interior wall divisions allowed the entire space adjacent to the bedroom to be reconsidered for a new layout. Since an ample closet was high on the homeowners’ goals, the final design was to section off a portion of the space to devote to the walk-in closet. The new closet is accessed through the bathroom. Two of the exterior windows are in that new closet space, leaving only two windows in the bathroom space to work around. The shower design is a highlight of the new bathroom. The homeowner wanted to stay away from a white tile design that would be harder to maintain, so the color scheme for the shower favors gray. 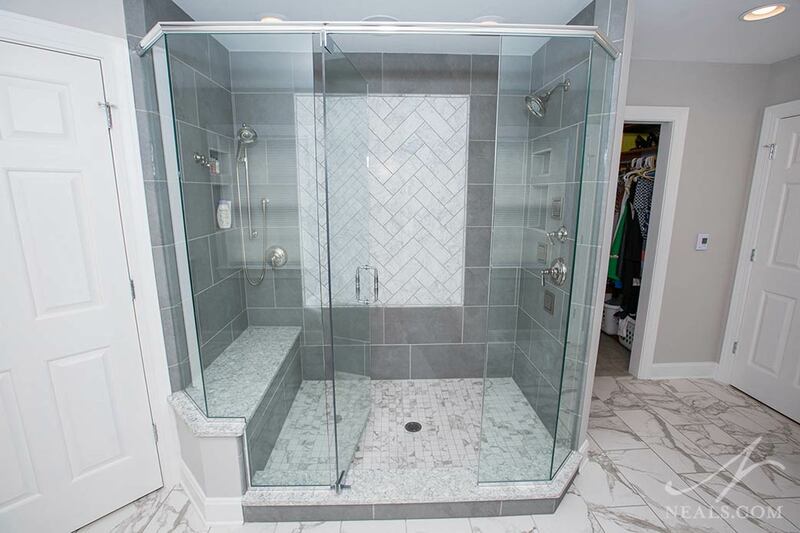 To prevent that gray from overwhelming the bathroom, the shower design includes an accent on the back wall of marble tiles placed in a classic herringbone pattern. The shower also has a bench, which is topped with the same granite used on the vanities. The ledge at the shower’s barrier is the same. Gray comes into the room’s scheme again in the floor tile. To keep maintenance and cost low, the floor tile is a porcelain product that mimics the look of marble with gray veins on a white field. The interest this tile adds to the floor help the now open room from feeling too empty. This tile was used again on the shower floor, and into the commode room, ensuring that the whole room feels cohesive. 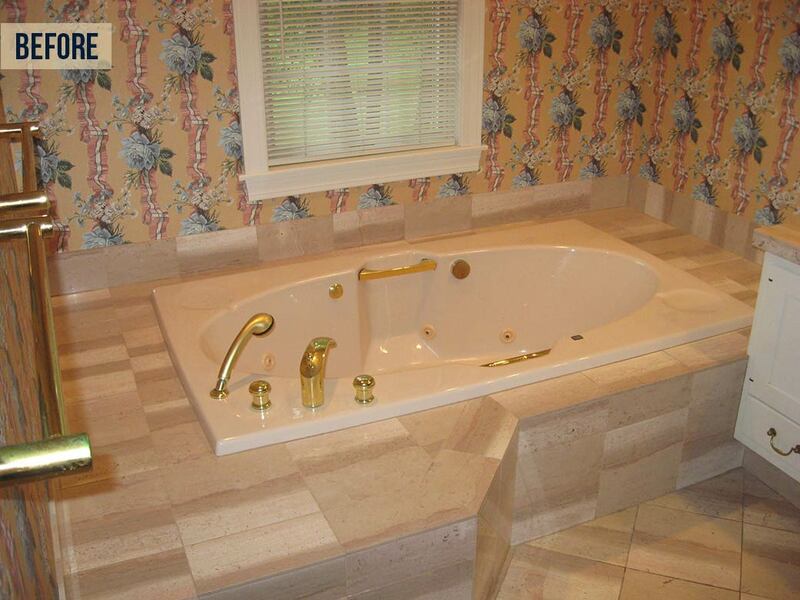 Another focal point of the room is the new free-standing soaking tub. The tub is classic in form, with a solid base that also helps visually fill the space. The tub makes good use of the space between the windows, which wasn’t an ideal location for cabinetry. 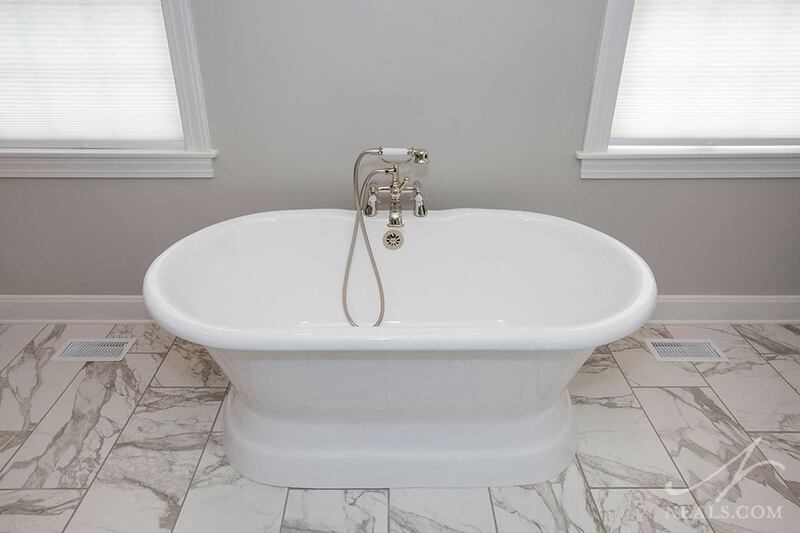 The inclusion of the tub helps the new bathroom feel traditional, with luxurious 19th Century style. The nickel-plated faucet is a classic style with white enamel knob details. To create a his and her bathroom experience, separate vanities use the remaining space on either side of the room. The vanities are mostly identical. They feature the same cabinet configuration, with 4-drawer units on either side of a central cabinet. The larger of the two vanities, closer to the door, also includes a tall storage cabinet with roll-out drawers and adjustable shelves. The finish of the doors is gray with a brown undertone, keeping the color scheme of the room cool in tone, and adding contrast by introducing a darker shade to the room. The quartz counter is joined by a slab backsplash, that adds another 19th Century style element. 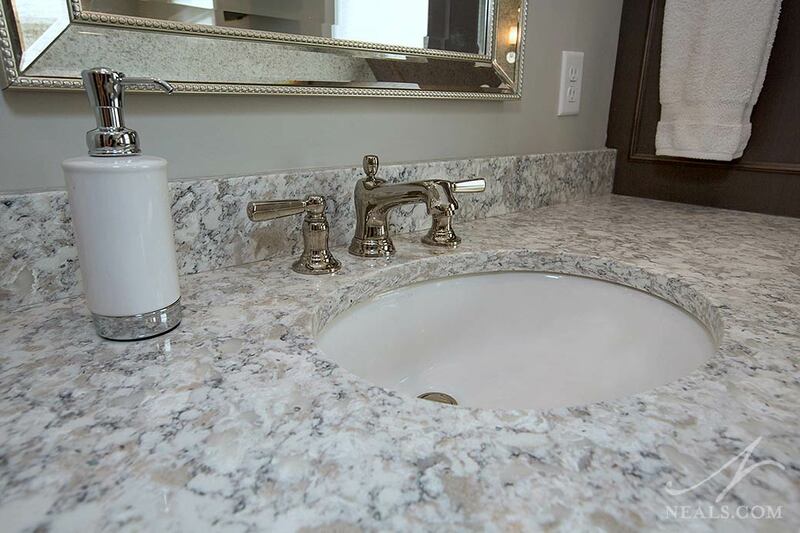 The sink fixtures do as well. The vanities are accompanied by large mirrors with polished metal frames. Each mirror is flanked by wall sconces that provide task lighting at the sinks. The sconces are a modern take on the classic shade sconce, giving a hint of modern, lower maintenance sensibilities to the space.